This pack contains 12 car prefabs, perfect for cartoon and low poly style games. All car models come in three different colors. 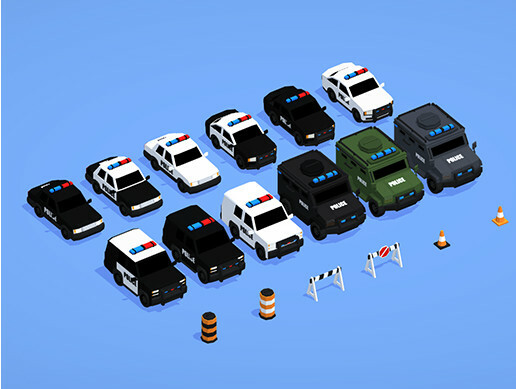 The roadblock props share a single 64x64 texture, and the car models each have a 1024x1024 texture. The wheels are separate objects and can be moved individually. The triangle count for the car models are between 2k - 4k.